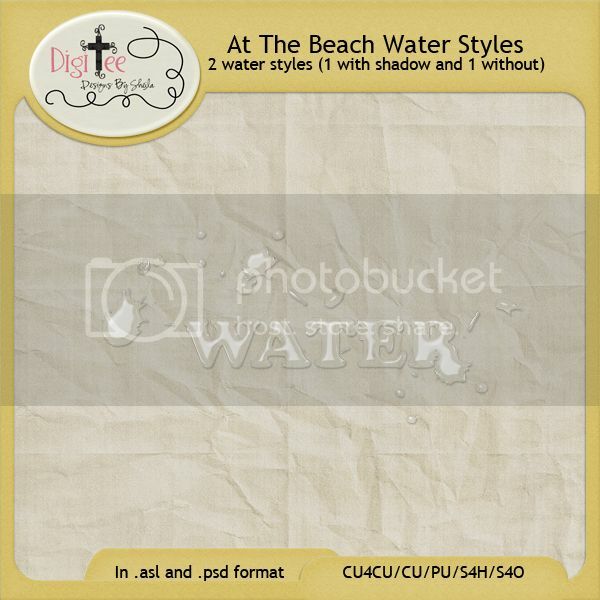 DigiTee Designs By Sheila: CU4CU At The Beach Water Styles Freebie!! Thank you! This should come in very handy this summer! Luv it but can`t use it Im only png. How can ya get`m to png`s? Thank you! Love these styles! Me thinks the lady doth judge herself too harshly. :) I don't have PSD, but wanted you to know that this looks AWESOME! thank you so much! I love your very nice job! I am so in awe of your style-making abilities! WOW! I would have no idea how to go about doing this - it's a level of Photoshop skill I haven't explored yet. Thank you! Thanks, Sheila. Your styles are great. I have used both the sand and chipboard one. This is so awesome. I Thank God for your talent and that you share your abilities so freely. Thank you and God bless you. Thank you! I found and followed you through Pixel Scrapper. Love your work!